Meet Alejandra Ortega: UT freshman, Forty Acres Scholar, aspiring math teacher, and the first high school graduate in her family. The Houston native sat down with the Alcalde to talk about how UT’s most esteemed full-ride merit scholarship has changed her life. Did your parents push you to aim for college? They never pushed me, but when they saw it was what I wanted, they supported me all the way. My mom got her GED and worked her way up as a teacher’s aide and a secretary, and my dad owns a small contractor business. They’re amazing, the best role models I could have. My entire family is full of Texas fans now! My aunts and uncles in Monterrey, Mexico, all have UT T-shirts and can do the hook ’em. I’m trying to convince my cousin to come to UT. We need another Longhorn in the family. How did you end up at UT? For a long time, I was convinced I would go to the University of North Texas, because I knew about a full-ride scholarship there. But then I came to UT for UIL [University Interscholastic League], I just had a gut feeling. After that, I knew I was going to do whatever it took to get here. What was your reaction to learning you’d won this scholarship? On the Sunday after Finalists’ Weekend, I waited by my phone all day. Finally, at 8 p.m., Kristy [Kimball, Forty Acres Scholars Program director] called. I remember thanking her over and over, then celebrating with my mom—laughing, hugging, crying. This is the biggest blessing ever for me and my family. I want to start my own scholarship fund next semester. It won’t be much, but I’ve gotten so much help that I want to start returning it. That’s a big reason why I want to be a teacher, too, so I can help kids with backgrounds like mine. How’s your first semester so far? There’s definitely been some culture shock, but it’s going great. I really love my physics class. I’m about to start teaching science to at-risk kids through UTeach Outreach. I like taking dance lessons with Texas Ballroom, too. Tell me about that culture shock. Walking into a class with 100 students was an adjustment. And I had been used to speaking Spanish most of the time at home. There was a lot of apathy in my high school, so it’s a big adjustment—in the best way—to be around all these people who are so excited about learning. Are you close to the other Forty Acres Scholars? We’re a family. When I told Connor [Frew, a fellow scholar] that I’m first-generation, he said, “We’ve got your back.” It meant a lot to me. Last week, two other girls and I brought our boyfriends to meet the scholars. We introduced them to everybody, and it was like, “OK, you passed the test!” That’s how close we are. 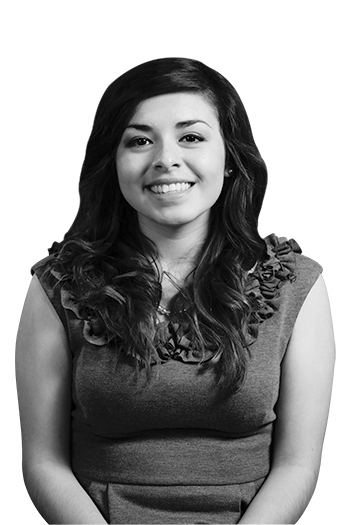 Alejandra Ortega is a recipient of the AIM Foundation Forty Acres Scholarship. Photo by Andrew Alden Miller.